London (AFP) - Eden Hazard reassured Chelsea fans he won't leave the club this month, despite continued interest from European champions Real Madrid. The transfer window for Premier League clubs has already closed, but remains open in a host of other European leagues until August 31. Hazard's Belgian team-mate Thibaut Courtois forced a move from Chelsea to Madrid earlier this month by refusing to return for pre-season training after helping his country finish third at the World Cup. After starring himself in Russia, Hazard seemed to suggest his time at Stamford Bridge was coming to an end, saying his "preferred destination" was well-known. Hazard's contract runs until 2020 with Chelsea hopeful he will renew to end speculation over his future. But after coming off the bench to inspire a 3-2 win over Arsenal on Saturday, Hazard remained coy over whether he will remain at Chelsea beyond this season. "Leaving this year? I will not leave," he told French radio station RMC. "Many things have been said. A lot of it nonsense. For now, I'm happy. I still have two years of contract and we will see what happens. "We can sell but we can not sign players. It would be a bit odd for them to let me go and not recruit a player after." 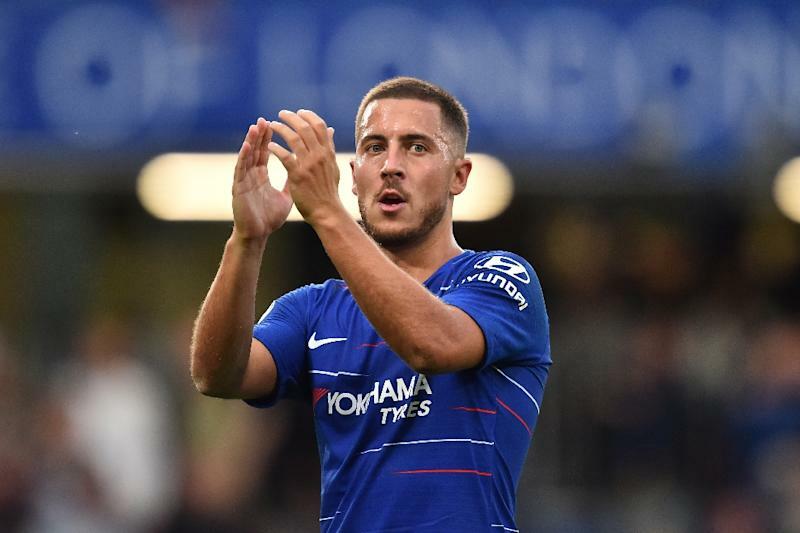 After his World Cup exertions, Hazard has been left on the bench for both of Chelsea's opening Premier League victories under Maurizio Sarri. But he was given a hero's welcome when he was introduced on the hour mark at Stamford Bridge on Saturday and set up the winner in a thrilling five-goal encounter for Marcos Alonso as Chelsea went top of the embryonic Premier League table. "We could still see today that fans like me pretty well," he added. "I feel good here. We'll see what happens in a year or two years."